Omelettes make for the perfect breakfast dishes and they are delicious in almost every form. 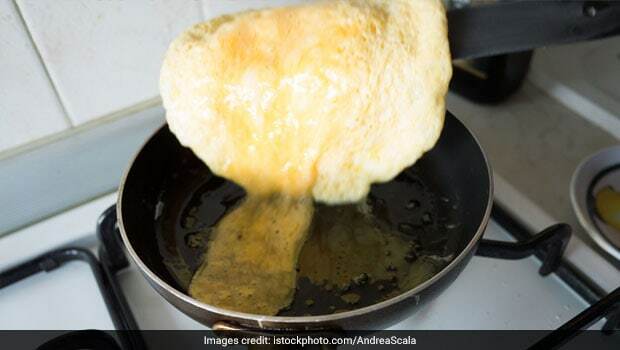 Whether you like the desi-style masala omelette, or like them the way the French do- soft, pillowy folds of egg batter cooked in butter and served with chives- omelettes are a must for the breakfast table. The universal appeal of the omelette has much to do with how convenient it is to prepare and how versatile the dish is. You can cook it in any way you like, with easily available ingredients, minimal prep and they're ready within minutes. Whether you add chopped vegetables, meat bits or just throw some cheese in your whisked omelette batter, you will end up with a dish that is satisfying and delightful. It's one of the simplest breakfast dishes out there and one most of us prefer to consume for breakfast. Omelettes can be made from whole eggs or just egg whites. However, the classic omelette has both the yolk and the whites of the eggs in it. Either way, omelettes are low in calories and high in nutrition. A plain omelette prepared from a single large egg has less than 100 calories, about 6 to 7 gm of protein and good amount of healthy fats from the yolk. Consuming omelette for breakfast can ensure that you load up on protein, which helps maintain lean muscle mass and also helps cut fat, keep hunger pangs at bay, as well as improve levels of good cholesterol. Pair your omelette with some high-fibre foods like whole grain toast, vegetables, and nuts and seeds to make your breakfast meal fulfilling. We Indians love adding spices to all our dishes and a desi omelette often contains fried onions and chopped tomatoes, along with masala of choice. But if you like your omelettes plain with just a little bit of salt and pepper, there are other ways of adding some zing and taste to them. A new style of omelette has been gaining traction nowadays- fluffy omelettes. You might have watched a stray video or pictures of these super fluffy cloud-like omelettes on the internet. Well, what if we told you that you can easily prepare fluffy and delicious omelettes at home with some simple tricks? The easiest way to achieve the airy and light texture of fluffy omelettes is to separate the yolks from the whites and whisking the two separately. 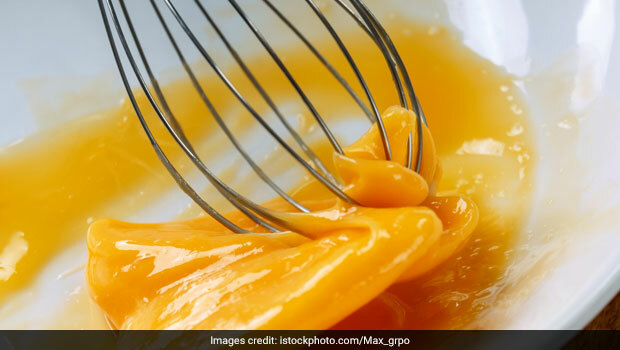 Whisk both the components of the egg in separate bowls until they thicken and soft peaks are seen to be forming. Fold the yolks in the whisked whites and add salt and pepper. Add some butter on a non-stick pan or skillet and pour the batter in it. Let the omelette cook for a few minutes and then cover the pan and cook it for a few more minutes. You can stuff your fluffy omelette with stir-fried veggies or cooked bacon bits. Also Read: How To Make An Omelette In A Mug - No, Seriously! Another way of adding the fluff to your stuff is by mixing plain carbonated water or soda water to your whisked eggs. The carbonation allows the mixture to rise when cooked, giving your omelette an airy texture. 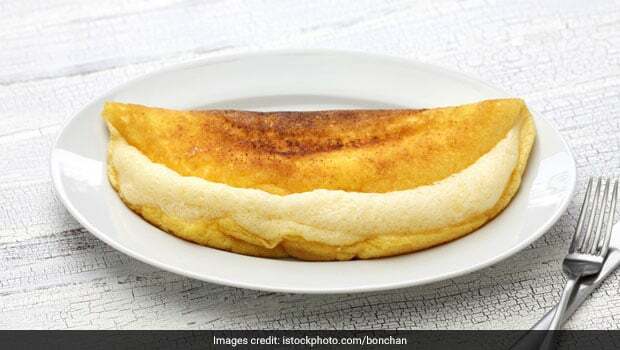 The fluffy omelette hails from the picturesque French island town of Le Mont-Saint-Michel in Normand, France, but is now popular around the world. Did we just save you a trip to France? Maybe! How to Make an Omelette in a Mug - No, Seriously!